You need help with explaining the concept of ‘yesterday’ to the kids? Here is an English worksheet on tenses that has sentences on things that happened yesterday but are actually written in the present tense. 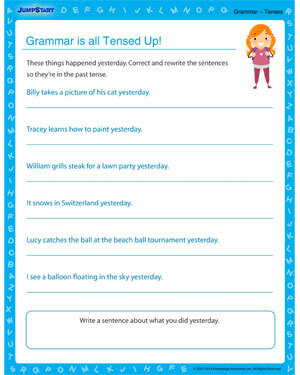 Let the kids change the tenses and rewrite the sentences correctly with their tenses in place.